Share wedding cake! Share desserts ever after, with special stoneware plate and two forks, a gift set for every couple. Sharing plate with forks set, Better together. Happy Anniversary! 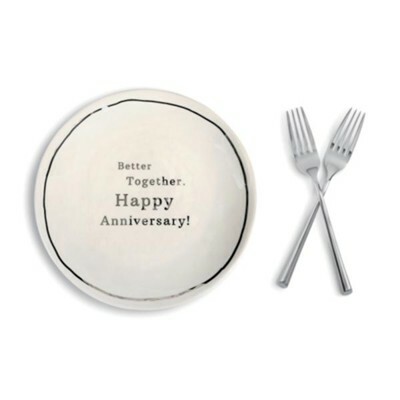 I'm the author/artist and I want to review Anniversary Sharing Plate and Forks Set.